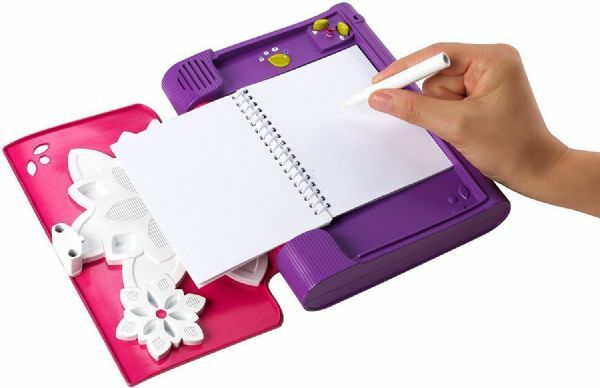 Now children can safely protect their private thoughts and special mementos in a super stylish electronic journal! The voice-activated lock only opens to your voice with the password that you create. You can also record a customized intruder alert to ward off anyone who tries to open the journal. When someone attempts to mimic your password, the journal records it so you can play it back later and catch the culprit in action! Only opens with your childs specially recorded password. 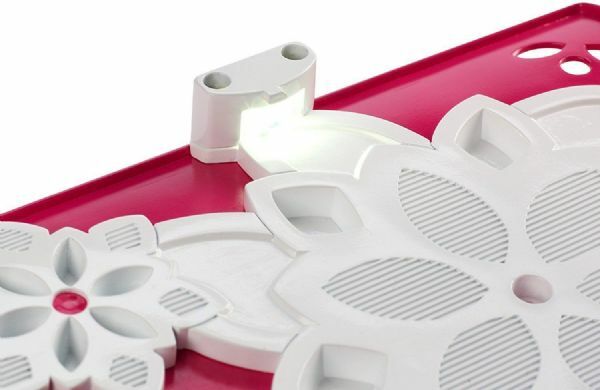 A hidden compartment is perfect for storing super-secret stuff. 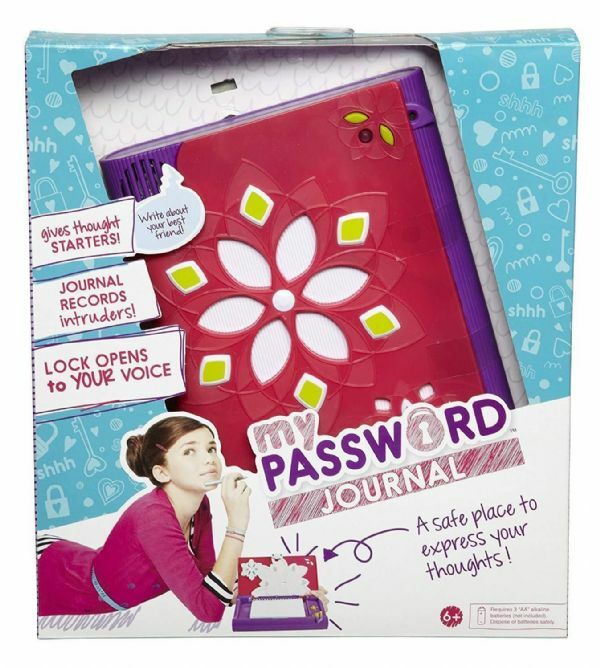 My password journal inspires hours of creative writing, fun reflection and is the coolest, most private journal ever! paper notebook included. Colours and decorations may vary. Batteries required: 3 x AA (not included) .